Education is a strategic issue for the global fashion industry. Companies operating globally must be able to connect to a global network of fashion educators. Top companies must be able to find global top talent. 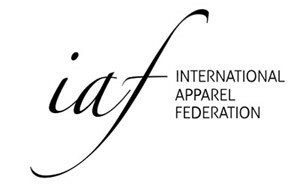 The mission of the IAF Education Committee is therefore to act as a forum that enables (knowledge) exchange between companies involved in the apparel chain and fashion universities and colleges. IAF offers educational institutes and their students unique access to a global network of apparel companies and vice versa. Education is a strategic issue for the global fashion industry. Companies operating globally must be able to connect to a global network of fashion educators. Top companies must be able to find global top talent. Often globally operating suppliers to the fashion industry hold a wealth of knowledge and the availability of this knowledge is important to the industry. Education is also a prerequisite for change. For the industry as a whole to improve its performance it needs to become more knowledge intensive. In order to break through negative price spirals to the bottom, companies need to change the way they do business and this change requires knowledge. IAF engages in projects focused on developing innovative training courses with a focus on knowledge transfer to mid management and retailers, brands and manufacturers. IAF is currently working on the creation of a training course on ‘collaborative sourcing’. Closer collaboration in the supply chain improves the efficiency and effectiveness of the supply chain and therefore improves the profitability of both buyers and manufacturers. IAF has an MoU (Memorandum of Understanding) with IFFTI (International Foundation of Fashion Technology Institutes) to safeguard structural relations between industry and education. It stipulates that IAF will always have a Board Member from education that also sits on the Board of IFFTI and that IAF and IFFTI Board Members will make an effort to visit each other’s Board of Director’s Meetings.